July 2014 : India were touring England scheduled to play five Tests, five ODIs and a T20I. The Test series began with first Test ending in a draw and India winning the second one taking 1-0 lead. England were yet to win and this third test was like a must win! But they had to face a few injury concerns as well and this time it was wicket keeper Matt Prior who was going through the injury! During the first Test at Trent Bridge Joseph Charles Buttler 23 year old young lad who was yet to make his Test debut was present at Trent Bridge as a cover for Prior! And yes he had just got his fantastic maiden ODI hundred in May against Srilanka at the Home of Cricket. He had a nice chat with Matt and got to learn a few things at training as well as he realized that a Test debut was approaching! Earlier he had said that he is still not ready to play Test Cricket, but there he was in the Team as Matt Prior had stepped down! 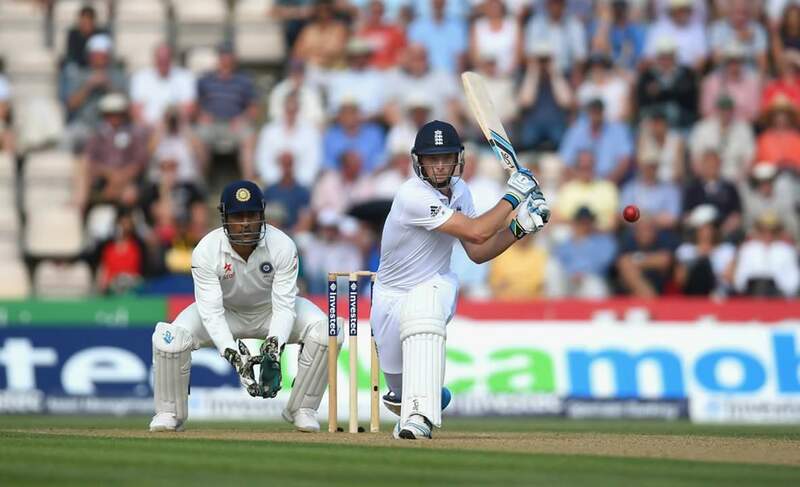 ‘Jos Buttler’ came in for the third Test against India which was to be played at the Ages Bowl in Southampton. The day arrived! 27th July 2014 and there he is! Young Jos making his Test debut! It was not an ordinary Test debut as It was the debut by England’s most original player over the years and yes England wanted to end their losing streak too! It all came to this lad a bit earlier than he had expected as he said! He went on to get his maiden Test fifty on debut scoring brilliant 85 runs off 83 balls including 9 fours and 3 sixes at a strike rate of 102.40 and became 8th wicketkeeper batsman for England to do so! He also took six catches (equaling Australia’s Brad Haddin) as a keeper on debut. England won the third Test by 266 runs and the Test series 3-1!! 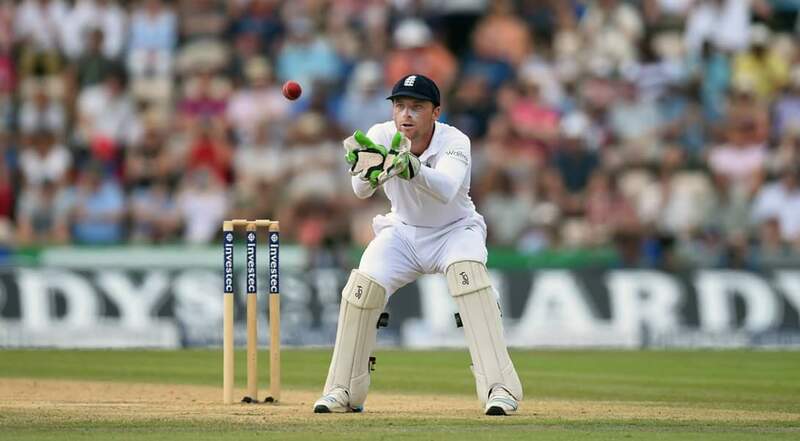 Buttler looked more attacking playing in his debut Test. Now lets go four years ahead and come back to the present were once again Joseph Charles Buttler is going to enter the Ages Bowl tomorrow but this time as a specialist Test batsman and the Team’s Vice Captain! And You know if you have to achieve something then you have to struggle for it! and this bloke, well I have seen him go through it! He was averaging over 30 in first class cricket and had not played in any Tests since December 2016! He had last played against India during England’s tour in 2016. He had even decided to give up Test Cricket and focus only on White ball cricket and he is no doubt the best white ball cricketer in the world now! and as we say that everyone deserves a second chance and so did Jos and he proved it when he was called back to English Test Squad this summer for the Two Tests against Pakistan! Thanks to our new chairman of selectors Ed Smith who kind of changed the English tradition and picked players based on form across all formats! Jos Buttler is in the form of his life since this IPL. And Jos was there after having fantastic season of IPL! scoring five consecutive fifties for Rajasthan Royals, Jos has been in the golden form since then and he continued it in Tests too after he got fifties in both the Tests against Pakistan and was also named as the Man of the Match in the 2nd Test for hitting those crucial unbeaten 80 runs off 101 balls. And well now in the recently concluded 3rd Test against India which was this bloke’s 23rd Test match he got that superb maiden Test hundred and once again a crucial one! ⏺️Jos Buttler got his maiden Test hundred playing in his 23rd Test Match. ⏺️It’s his first century in first-class cricket for 50 months. ⏺️He is England’s 166th Test centurion and registered England’s 858th Test century. ⏺️This is the sixth Test hundred in the 4th innings of a Test at Nottingham and second by an English batsman. Graham Thorpe is the first Englishman to achieve this feat. ⏺️Jos Buttler while playing left 24% of the deliveries he received which is the highest percentage in England’s last 30 Test centuries. ⏺️Buttler’s this hundred is the first by a member of England’s top six in any of eight Tests they have played this year and second of the series for England after Chris Woakes brilliant knock at Lords in the 2nd Test. ⏺️His knock of 106 is the highest individual score of the match. It’s his highest individual Test score as well. ⏺️ Before Buttler only Jack Hobbs and Graham Gooch had scored as many 70-plus scores as Jos Buttler (which is 5) before scoring maiden Test hundred for England. ⏺️In the first innings Jos scored crucial 39 runs off 32 balls including 3 fours and 2 sixes at a strike rate of 121.88 and also completed his 1000+ Test runs in the process. ⏺️ He combined with Ben Stokes to produce the largest fourth-innings, fifth-wicket partnership in England’s Test history. They put on 169 runs beating the 163 runs stand between Trevor Bailey and Willie Watson against Australia at Lords in 1953. 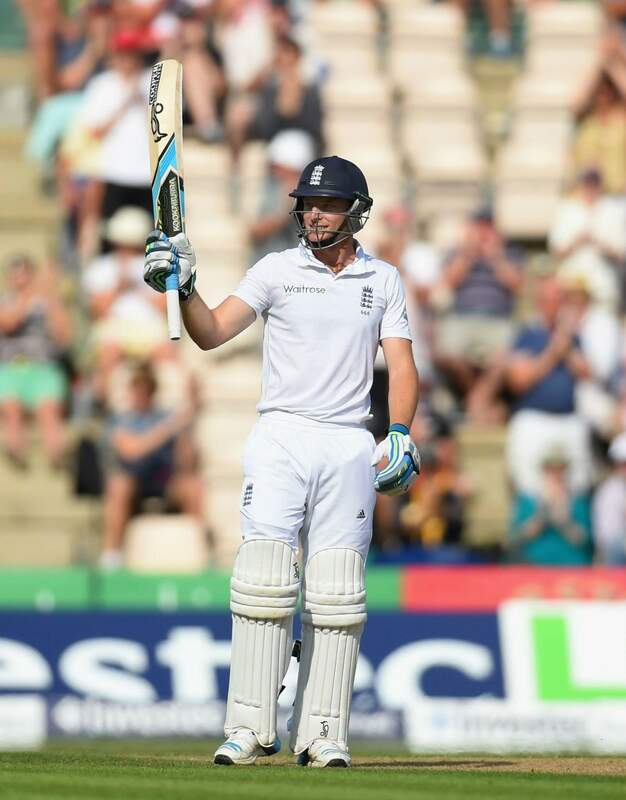 [/caption][/caption]Even though England couldn’t make it to win the 3rd Test but Jos Buttler surely won eveyones hearts! not only the English people and fans but every single person who watched the game that day! 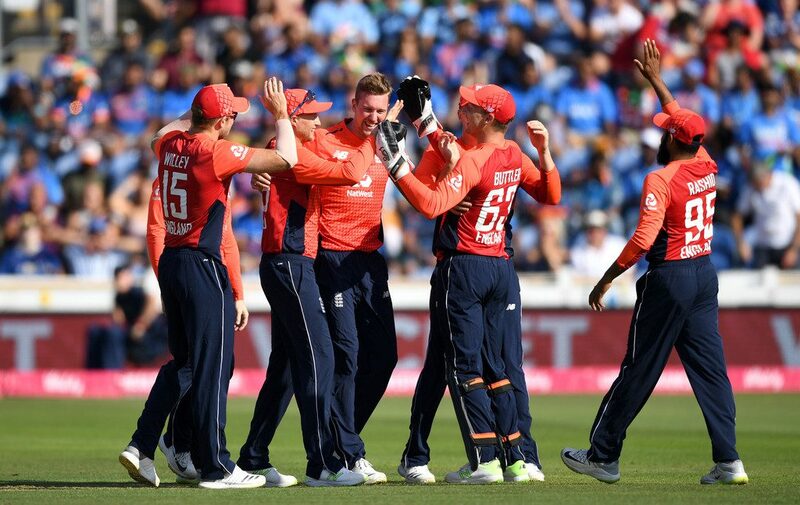 later on we saw the Indian Captain Virat Kohli and pacer Ishant Sharma congratulating Jos after he was out LBW off Jasprit Bumrah and as he was walking back towards the dressing room he received the standing ovation from the crowd at Trent Bridge. What a day and What a moment it was!! Lets see now what Jos has in store for the fourth Test which starts tomorrow and yes, now that Jonny Bairstow still recovering from the hand injury which he had suffered in the 3rd Test , Jos is in charge of the glove work too as he will Keep the wickets and Jonny will play along side as specialist batsman. Jos Buttler training today at Ages Bowl. pic credits : Getty Images. As compared to his knock on Test debut, Jos is now more mature, dependable and knows how to take the responsibility and guide the team in every possible way! He is now not just a specialist white ball cricketer but a responsible Test cricketer too! A perfect vice captain and probably the perfect future Leader of the Team! A long way to go Jos! And Im sure you will do it!! Some one has rightly said! When your time comes it comes! Get on with it!.. Previous Previous post: VICTORY AT LORDS!! Next Next post: SUMMER OF 2018..